One of my favorite places to do some easy rain hikes is the Cape Point National Park. This Reserve is so close to towns like Kalk Bay and Simon’s Town that you will really regret missing it if you are staying near by. I highly recommend setting aside a whole day to explore, even if all you want to do is drive to different scenic spots around the park and have a car picnic. Of course doing one of the many easy hikes is a much better way of exploring the reserve and you may even come face to face with some of the gorgeous wildlife. 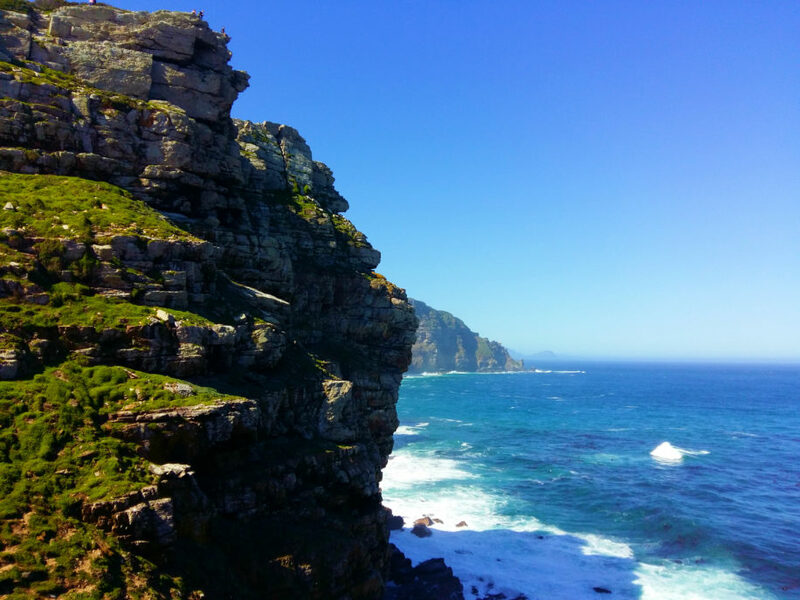 What is the Cape Point National Park? 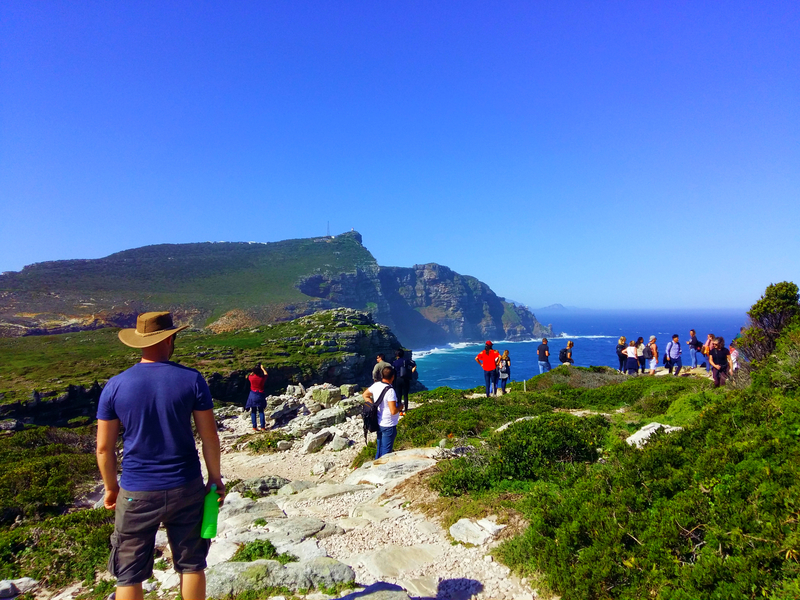 The Cape Point Nature Reserve is about 60 km away from Cape Town, so it’s not too much of a drive, but once you are past the gates you feel like you are in another world. 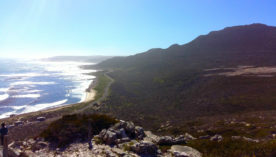 The reserve forms part of the Table Mountain National Reserve and is a huge piece of land dedicated to preserving the fauna and flora of the Western Cape. The result being that as soon as you enter the reserve you are surrounded by lush vegetation and mountainous areas spanning so far that you can completely forget that there is even a city nearby. It’s the perfect spot to get back into nature and re-establish your connection with the earth while watching ostriches and buck grazing. If you are quiet enough you may even get to see a dassie or two. 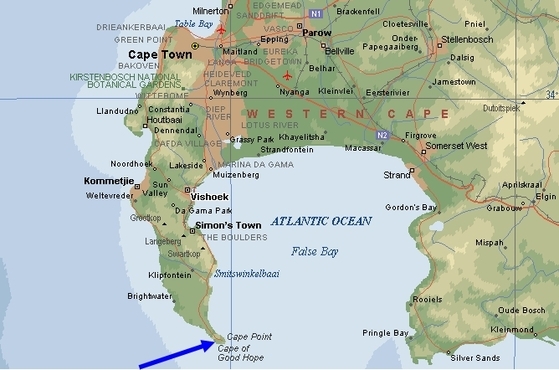 Cape Point in relation to Cape Town. The Cape Point Nature Reserve is such a beautiful retreat from the city, but it is also filled with history. The Cape Point itself was used as a navigational land mark for sailors in the 1400’s but the storm that occur here also claimed many ships over the centuries. This was why the light house was built in the 1800’s. You can still see shipwrecks along the coastline from some of the hiking trails in the reserve. 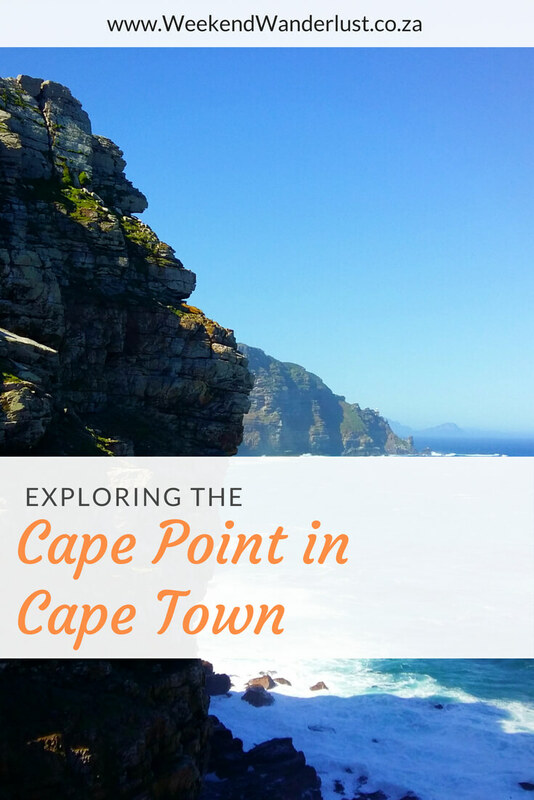 Cape Point is also steeped in centuries of history and some buildings that were never torn down tell the story of Cape Point. 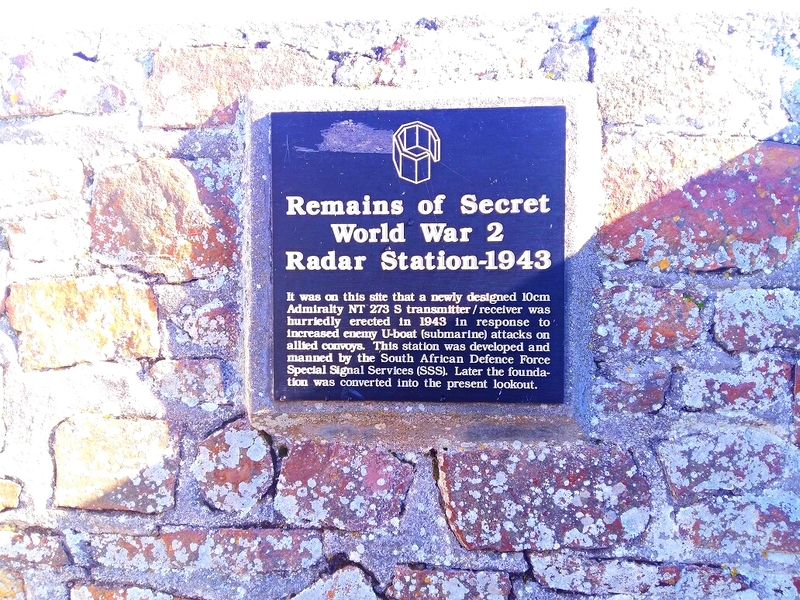 As you walk the paths around the Cape Point Light House you can see some of these structures and read a bit about the history behind them. If you stop by the visitors center that’s a little past the entry gate as you come into the park, you can get maps of the trails you can walk around Cape Point. Some are longer than others so if you can only walk for about an hour then it’s a good idea to get a map so you don’t overdo it or get lost. This is a huge park. One of my favorite parts of visiting tourist attractions is watching how the tourists enjoy the place. 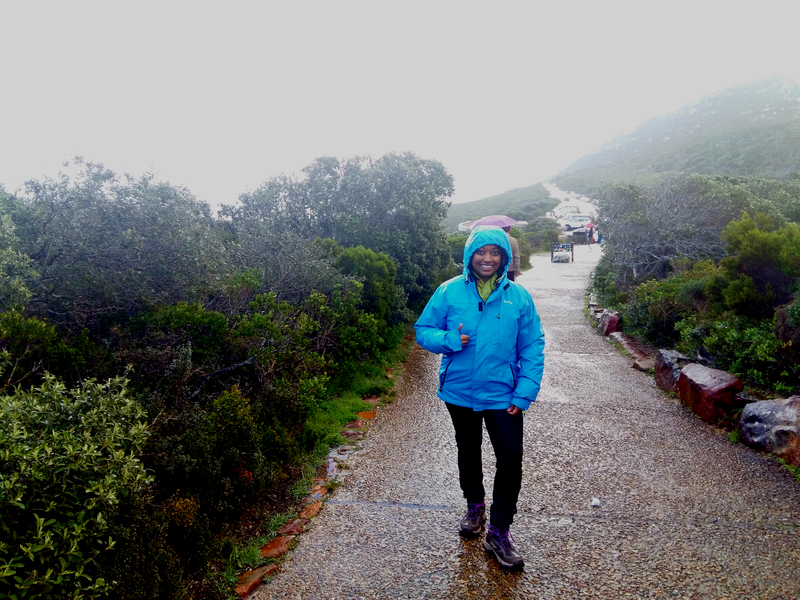 Cape Point has incredibly spectacular views everywhere you look, even on a rainy day. Any direction you look you will find towering mountains or vast expanse of deep blue ocean. Waves crash against high cliffs and tiny secluded beaches hide from reach. Every single path is absolutely magical and overwhelming with beautiful views. And then, there’s the nature all around you, hundreds of different species of fynbos, flowers and shrubs fill the landscape and hidden in between all that vegetation you’ll sometimes spot animals, some which are shy and others, like baboons, which are not. Note: Please be careful of the baboons, they are known to be quite violent and will attack you for any food you may have in your hands. They may look cute and friendly but they can be viscous and will even climb up onto you to get the food out of your hands. 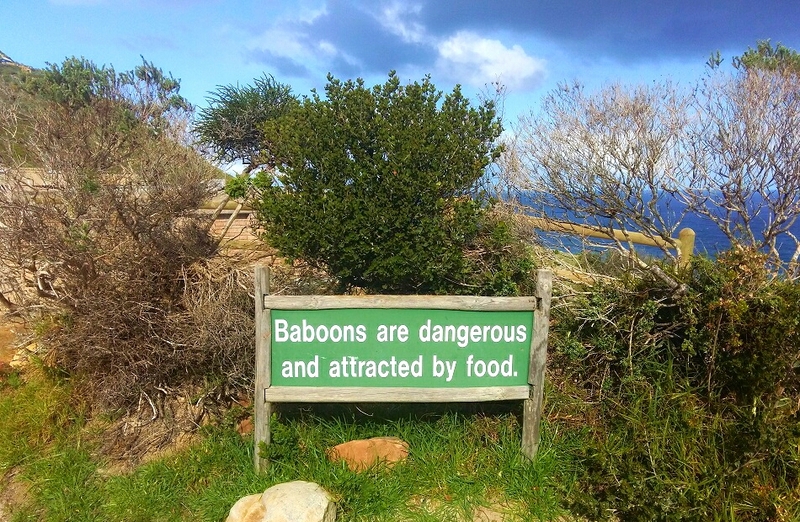 Baboons are very dangerous and are attracted by food, so don’t feed them. 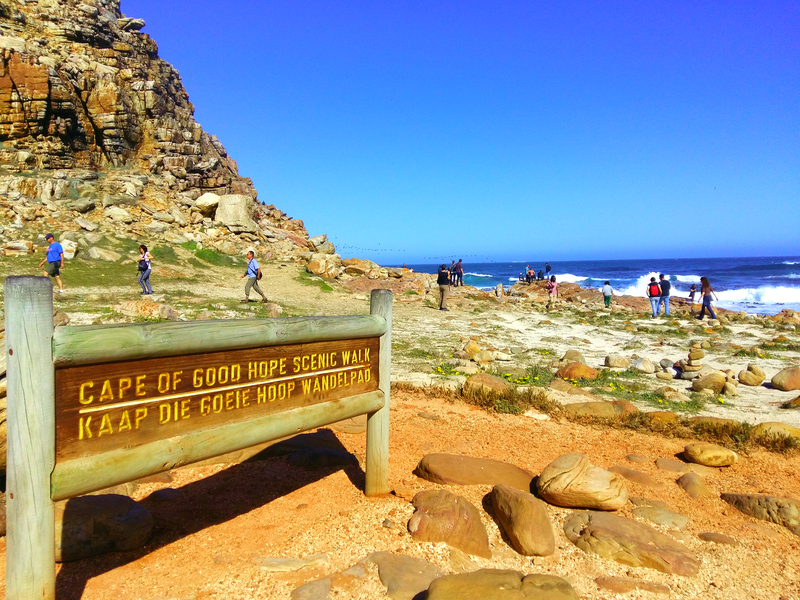 The Cape Point Nature Reserve is a nature reserve, which means they cannot build on that land. That includes plumbing. Most of the restrooms available on the land are long drops. If you, like me, can’t handle long drops, then the only flushing (normal) toilets are at the Cape Point Light House. This is where you can find the curios shop, a restaurant with a stunning view and the funicular that will take people up to the light house so you don’t have to walk the steep hill. The Wild Card and Green Cards available from Cape Nature allow South African citizens to enjoy the SAN Parks all around South Africa. 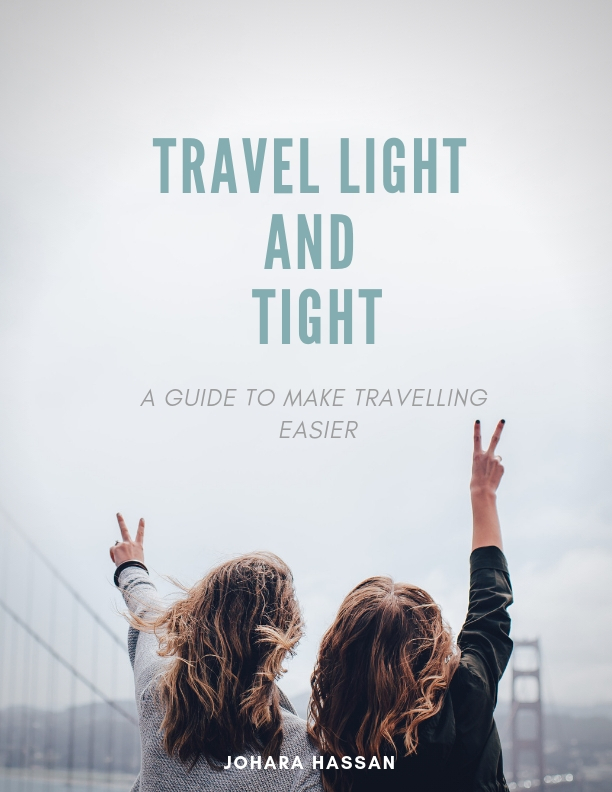 I only learned about this little money saver a year ago and my weekends have been forever changed by it. There are so many benefits, it’s well worth the small yearly fee. One of the things you quickly learn when you live in Cape Town is that you can’t let the weather hold you back. Summers and Springs are fine, but Autumn and Winter can be brutal in its own way. It doesn’t snow but it does rain for about 6 months of the year, and sometimes unexpectedly so. A day could start out sunny and happy and quickly deteriorate so if you plan according to the weather you will have a very boring life in Cape Town. So the best thing to do is get the right gear and be prepared to get a little uncomfortable. If you can do that then having bucket loads of fun in Cape Town is only a short drive away. yes, it’s a lot to carry along, but if you have a car you can just leave most of it in the boot. If you don’t then a good back pack will be your best friend. I love experiencing my country like a tourist would, it makes even cloudy, rainy days exciting and magical. It’s actually really fun being exposed to the cool rain while being totally bundled up and warm and dry and hiking in such a beautiful place. 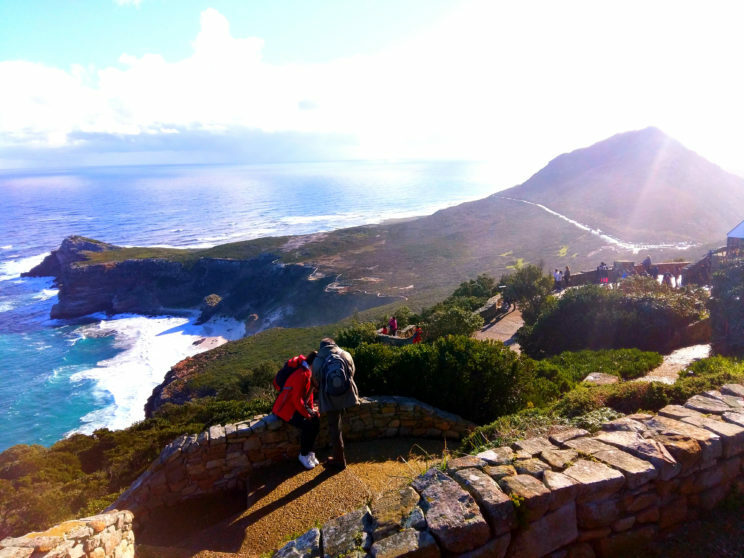 The Cape Point Nature Reserve is a spectacular place to visit, even on a wintery day. There is just so much to do and see there. You could drive around and simply look out for animals or you could go on a few easy hikes though the reserve. 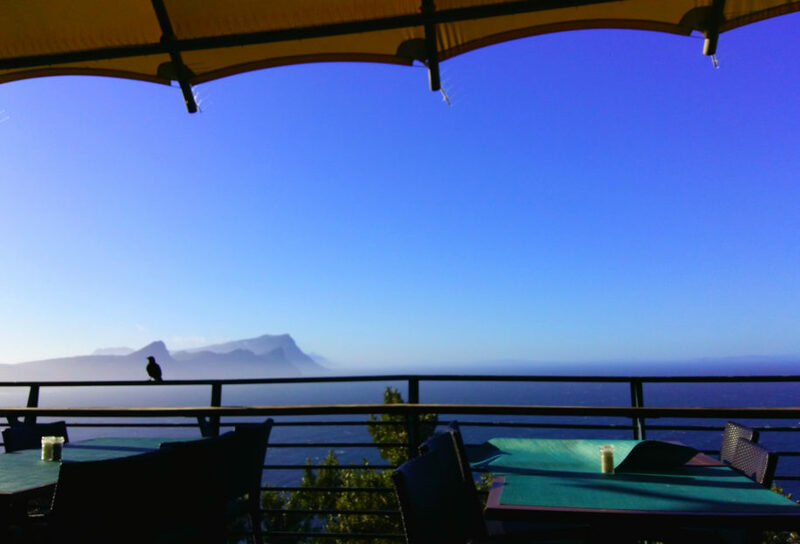 And if hiking is not your thing you could simply enjoy the view with a nice meal or cup of coffee at the Two Oceans Restaurant or go shopping at the curios shop.